I am still Scooter from when you met me before. 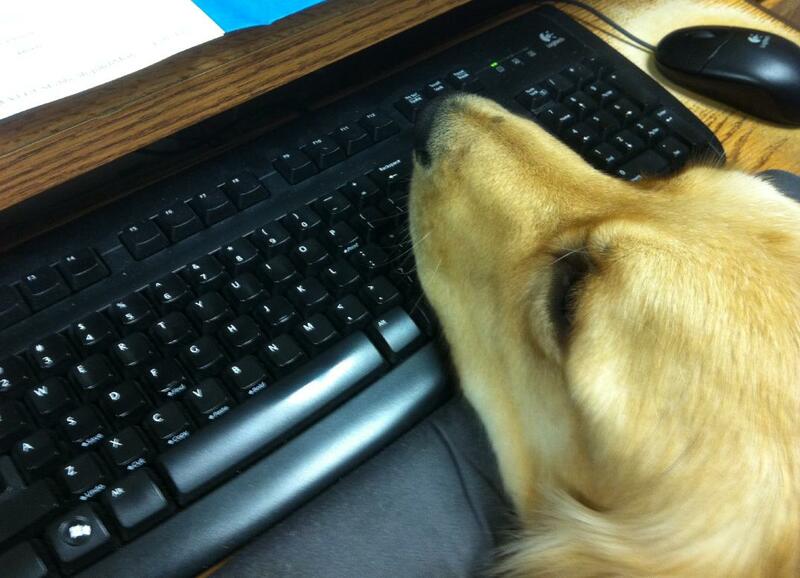 I am a blogging dog. I am getting used to my new family a lot. It is hard sometimes. They are odd. Chairs are for people, dogs get the floor. Sometimes I forget. 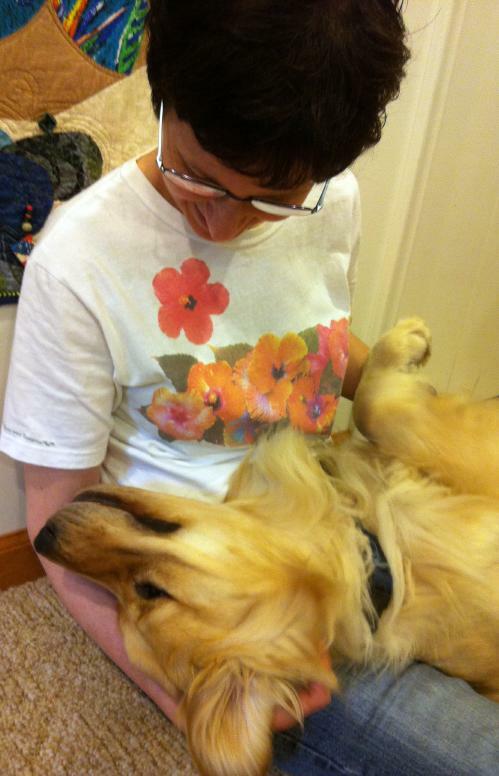 It is OK because Mom spends lots of time on the floor with me. I like to cuddle. I sit in her lap and gaze affectionately at her. Or, I lean on her, and lick her chin. And her neck. And parts of her ears if she will let me. She is not very furry in those places but seems to like my licking anyway. I would also like to lick squirrels but I haven’t caught one yet. They run up trees. I have tried, but I cannot run up trees. I will learn to jump higher. Dogs are allowed in trees, right? Already learned dogs are not allowed on walls or ceilings at The Vet. Mom says I have to apologize for my behavior last Tuesday. And for kicking the bag of poop at the nice lady behind the counter. Also learned it’s not nice to bark at well-behaving dogs at Obedience School. They bark back and get in trouble. They give me dirty looks. I bark more. Mom says this will have to stop. I have made new friends. 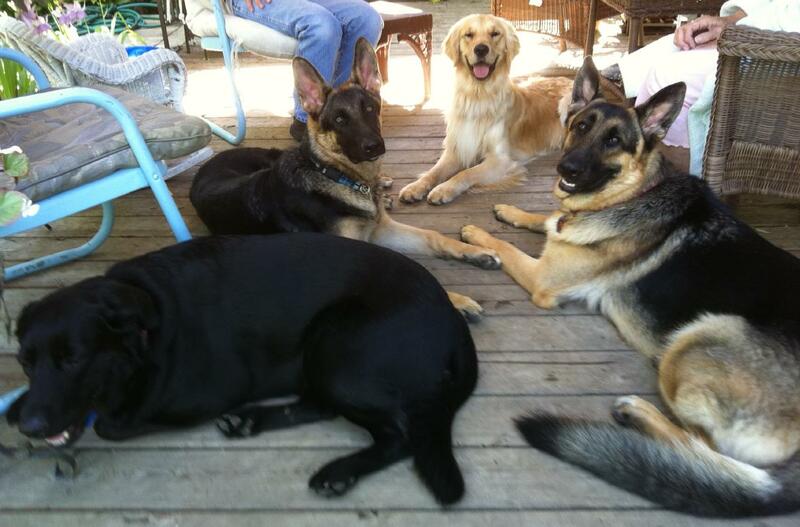 They are mostly German Shepherd Dogs but they speak English. I am the tall blond boy in the back row. Mom says I am part llama. I plan on having more adventures soon so I can blog about them. Meanwhile, here’s a very short video of me growling in my sleep. You will need to turn up the volume as I was growling softly in my Indoor Voice. Don’t worry I will get better at the video thing.